When you operate your boat, you’re taking on a responsibility that’s every bit as serious as a land vehicle. The South Carolina Department of Natural Resources (DNR) keeps track of boating accident statistics, and DNR records show that in 2014, there were 127 accidents in our waters, injuring 91 people. Fifteen recreational boaters tragically lost their lives that year, too. After an accident on the water, medical bills, repair costs, and other expenses start piling up fast. The big question becomes “who is going to be responsible for the costs?” The liability could very well fall on the owner of the vessel, and the financial impact can be devastating. That’s why boating insurance is recommended for all boat owners—even though it’s not required by South Carolina law. Liability coverage. This coverage takes effect when you’re responsible for injuring someone (personal injury) or cause damage to property. This might be the most important coverage you have, so be sure to get multiple quotes for different coverage amounts. $100,000 in coverage shouldn’t be at all unreasonable. Uninsured and underinsured coverage. Quite possibly the second most important part of a policy, after liability coverage. This coverage protects you financially when you are injured or your property is damaged by someone else. When the responsible party doesn’t have insurance, or has a policy with a low limit that won’t fully cover your expenses, this coverage will provide coverage to “fill in the gap” for you. Comprehensive collision coverage. Just like with automobile insurance, comprehensive coverage will cover the cost of repairs to your own vessel if the damage is your own fault. Towing coverage. If your boat is dead in the water and unable to move, this type of coverage will pay for a tow or tug to come and bring your boat to safety. Personal items/boat content coverage. This optional coverage will pay for personal belongings or equipment in case anything gets broken or goes overboard. Don’t be afraid to shop around, just like you would with auto insurance. Call multiple insurers and get quotes. Ask plenty of questions, including if any types of accident are specifically excluded from coverage. 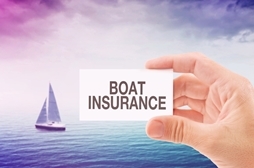 You may also contact your auto insurer and see if they offer boating insurance, as you might be able to get a discount for having multiple policies. Boating insurance is almost always significantly cheaper than automobile insurance, so it doesn’t make any sense not to carry the best policy that you can afford to protect yourself. If someone is hurt in a boating accident, your first priority is always safety and medical attention. After everyone's injuries are addressed, the next step is often getting answers to legal questions. Whether or not you have insurance, an attorney can help make sure that you don’t say or sign anything that hurts your chances of recovering fair compensation for medical bills, rehabilitation costs, lost wages, and all the other harm caused at the hands of a negligent boat operator. If you have questions about a boating accident that you believe was the result of negligence, please call Kenneth Berger for a free case consultation at 803-790-2800 today. We will guide you through the insurance process while also treating you like a member of our own family. The Law Office of Kenneth E. Berger is professional and compassionate. Every client is treated with personal attention, the staff at the Law Office of Kenneth Berger truly care for the well-being of their clients. I would highly recommend Kenny and his staff to anyone looking for an extraordinary personal injury attorney. How Is Lost Income Calculated in a Personal Injury Case? Posted on 01/17/2017 Why Do Tragic Boating Accidents Happen in Myrtle Beach?